high degree of success, some communities may have all three types of activities, resulting in nearly 100% recycling rates. All methods of recycling can be effective, but curbside recycling is leading the way of the future, with such programs already well established in cities throughout the country. Curbside programs can service an entire community in an organized and effective fashion, operating on a schedule similar to that of regular garbage collection; it’s a pattern to which most residents are accustomed and comfortable. Curbside programs provide two primary options: commingled collection - through which consumers place all recyclables in one container; and source separated collection through which each type of recyclable material is placed in its own separate container. The SCRI favors commingles curbside collection for its many advantages. First, it offers an efficient, relatively low cost, organized approach to reaching the citizens of a community. It allows people to recycle by simply following their routine of placing garbage at the curb. Additionally, curbside scavenging of segregated recyclables is mitigated through commingling, thereby enhancing a community’s recycling revenue. Finally, and most important, commingled collection means that consumers enjoy the convenience of placing all their recyclables in one bin. There is no need to separate recyclables from each other. And no extra storage space is needed in the home for three or four bins. Consequently, commingled curbside programs are easier for consumers. When programs are easier, more people participate. This raises the volume of recyclables collected by a community and diverts more material from landfill. Commingled recyclables are generally delivered to a materials recovery facility at which they are separated for processing for end markets. Steel cans offer an important advantage in these programs, due to their unique magnetic property which allows them to be automatically separated from other recyclables without hand-sorting. This reduces the labor hours needed at a processing facility, and provides a mechanism through which there is one less recyclable to be hand-sorted, making hand-sorting for other recyclables simpler. Think about it. What is the purpose of recycling? It’s to divert all recyclables from the consumer solid waste stream and funnel them back to industry to become new products. Buyback centers are generally material-selective and less efficient than curbside programs in helping communities achieve their overall environmental goals. The landfill crisis is real. So the more products that are recycled, the better. 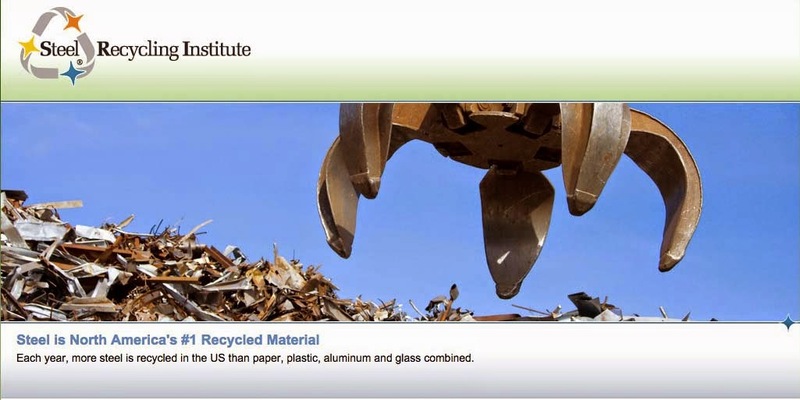 And curbside recycling recovers more materials... with steel cans leading the way.